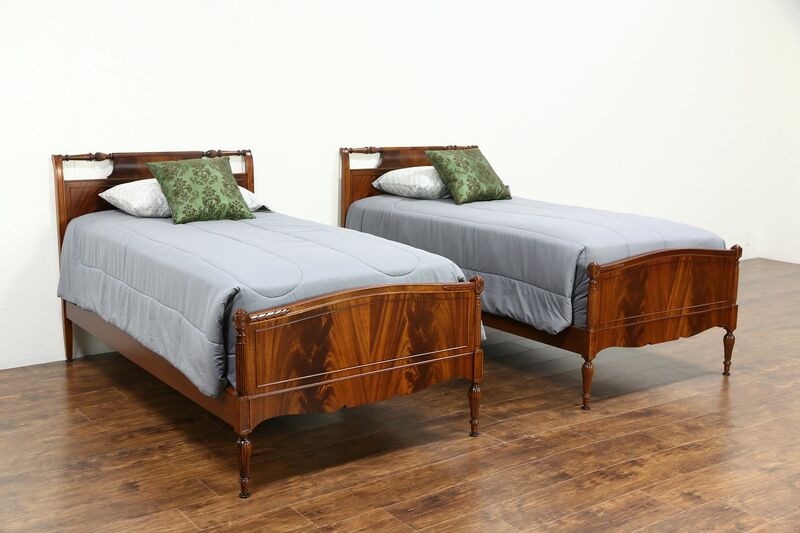 A traditional pair of mahogany twin or single size beds from about 1950 have an excellent restored finish. There is no signature on the beds, but other matching pieces were signed, "Northern Furniture, Sheboygan, Wis."
Matched flame grain panels are beautiful on this Sheraton design vintage furniture. Wood support slats as shown are included. Measurements are 42" wide, 80" long, headboards are 41" high and footboards are 26" tall. The mattress used for demonstration is 16" tall.